You have a project ? We realize it for you. Whatever your activity, society or project are, we will find the communication you need to realize it together. For companies that want to streamline customer support, WonderDesk is a web-based platform that simplifies the customer service process. 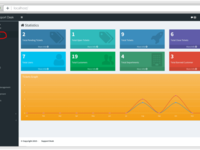 The focus of WonderDesk is customer tracking.